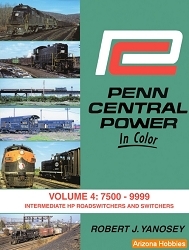 Penn Central Power, Morning Sun Book's first title, is reprinted in a special 25th Anniversary limited run released on November 15, 2012 in anticipation of a new series entitled Penn Central Power In Color, which will begin in 2013 and pick up where the original left off. 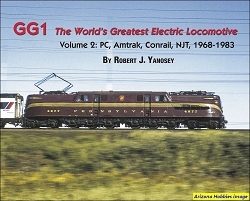 The original Penn Central Power was vastly different from the typical MSB format to which readers have become accustomed. 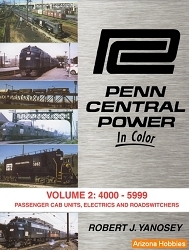 Instead of being in all color, that first Penn Central Power (and this reprint) is 248 pages of black-and-white photography with a 12-page color insert. 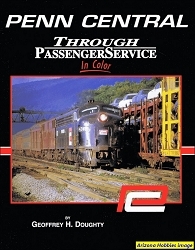 One Day on the Road (Middle Division train line-up with locomotives on Feb. 20, 1975), pp. 244-248. Morning Sun Books, 248 pages, 8 x 11.5 x .75, B&W photographs with 12 pages in color.